Sunrise of Solihull is a beautiful nursing residence set in landscaped gardens in a desirable semi-rural location a short distance from Solihull Town centre and just around the corner to all the local amenities of Shirley. Sunrise of Solihull is well located with excellent road and rail links to the whole of the Midlands and beyond, the M42 is 5 minutes away by car giving easy access to the M40, M6 & M5 Motorways .The NEC, Birmingham International Airport and Birmingham International Train Station are convenient, as are the attractions of Warwick Castle, and Stratford upon Avon. 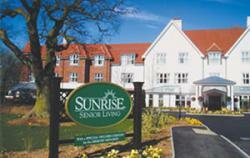 Sunrise of Solihull extension of services to include the provision of 24 hour-nursing means residents and families can now be assured that a higher level of nursing care is available, if required. Call or Email Us today for further details. 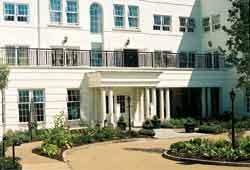 This residence is set in the prestigious area of Edgbaston to the Southwest of central Birmingham. With classical stucco-fronted architecture Sunrise has an air of elegance which reflects its position, being close to the Botanical Gardens and to the new Symphony Hall, with all the cultural interests of central Birmingham a mere stone’s throw away.